Louis M. "Lou" Botelho , age 69, passed away on April 14, 2019 at Brigham and Women’s Hospital surrounded by his loving family. Lou was born in Sao Miguel, Azores the son of the late Manuel R. and Gilda (Pereira) Botelho. He was the husband of the late Mary Celia (Pereira) Botelho. Lou graduated from Diman Regional Vocational Tech in 1970. He earned his associates from Bristol Community College in 1986. Lou taught machine shop at Diman. He was a maintenance supervisor at Texas Instruments and worked for New Stream in Attleboro. Lou was a veteran of the US Coast Guard Reserves. He was a member and a Eucharistic minister for the Annunciation of the Lord Parish. For over 20 years, he volunteered at both the parish and Our Lady of Lourdes School. Lou enjoyed spending time with family, especially his grandchildren. 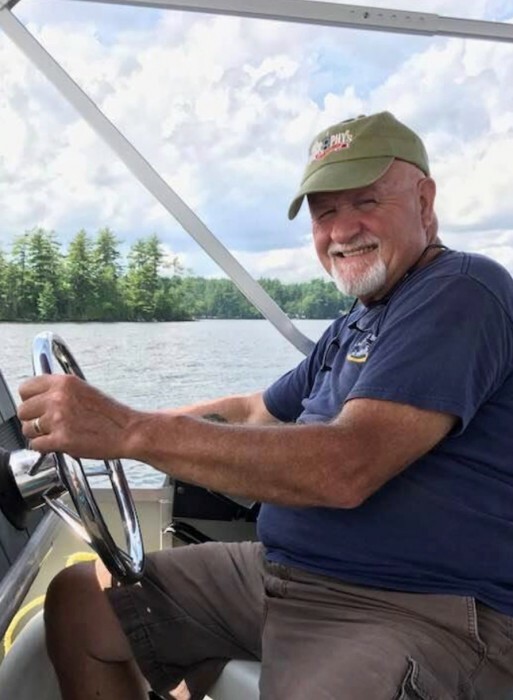 He loved to vacation in Maine and enjoyed fishing, hunting, boating, woodworking. He is survived by his children, Kimberly Coelho and husband Paul of Berkley, Scott Botelho of Berkley, and Stephen Botelho and wife Bailey of Berkley, grandchildren; Emily, Neveah, Matthew, Serena, Kellan and Charlotte. He also leaves a sister Mary Madeline Cunha and brother-in-law Gilberto Cunha along with several nieces, nephews, and cousins. Lou’s funeral will be held on Tuesday, April 23, 2019 at 9:00 am from the Silva Funeral Home, 80 Broadway (at Saint Mary’s Square) Taunton, with a Mass of Christian Burial at 10:30 am in Annunciation of the Lord Church, 31 First St. Taunton. Interment will follow in Saint Joseph Cemetery, Taunton. Visiting hours will be held on Monday April 22, 2019 from 4:00 to 7:00 pm, in the Silva Funeral Home. In lieu of flowers, memorial gifts can be made in Lou's memory to the National Pancreatic Foundation, P.O. Box 1848, Longmont, CO 80502, www.ngcf.us.